Yahtzee Croshaw (Will Save the Galaxy for Food) is a master of parody, satire, and dark humor, and now Dark Horse is thrilled to announce new editions of his first and second prose novels Mogworld and Jam, designed to accompany your copy of Will Save the Galaxy for Food on your bookshelf! In Mogworld, a world full of video game heroes, Jim couldn’t be less interested in saving the day. Particularly since he’s been dead for sixty years. 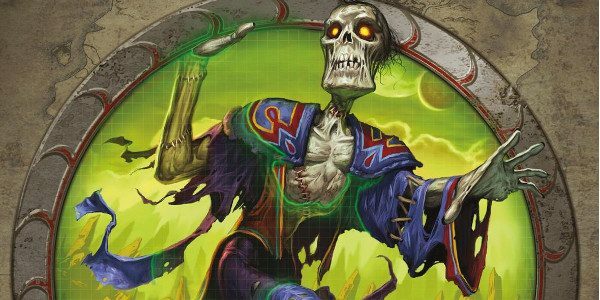 When a renegade necromancer wrenches him from eternal slumber and into a world gone terribly, bizarrely wrong, all Jim wants is to find a way to die properly, once and for all. And in Jam, prepare for an apocalypse no one could have predicted! Fire, flood, or nuclear fallout may be on your typical end of times menu, but no one expected the end to be quite so sticky… or strawberry-scented. Mogworld TPB goes on sale May 16, 2018, and is available for preorder at Amazon, Barnes & Noble, and your local comic shop. Jam TPB goes on sale May 16, 2018, and is available for preorder at Amazon, Barnes & Noble, your local comic shop.